Ceramics is an area where the 21st century genre of assemblage art thrives. A true fusion of different media, above is a selection of our favourite gems. When Tony and I looked at this genre of the arts, we immediately loved it and saw the potential for working in this area to give some contemporary expression to what we do in ceramics. Although very post-modern and 21st Century, there is nothing new about assemblages in art. In fact, the term was first coined in the 1950's by French artist Jean Dubuffet with his creation 'Assemblages d'Empreintes' (an assemblage of impressions). 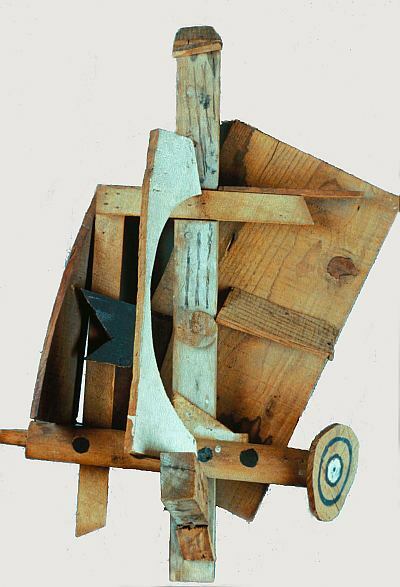 Before it was actually called 'assemblage art', it was just part of the rich cubist imagination of Pablo Picasso. For example, Picasso's Mandolin and Clarinet 1912. Strictly speaking, assemblage art was defined in the 1961 New York Museum of Modern Art; "Art of Assemblage” exhibition, as being made up of found objects - or, more specifically, those items not intended as being for 'fine art'. Well, we prefer to re-define that definition for a new era where we can apply it to any resonant sculpture or vignette made up of diverse items (in our case, including ceramic items). 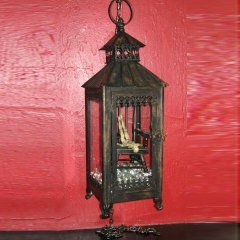 So the art of assemblage is like an open door saying, ‘Here! come and take me and run with me’. It gives us the opportunity to use all our knowledge and skills to make our own art, but also we want to feature the best of what other artists are doing - the innovators who chalked the genre up on the blackboard for us. One of the most cute (and cool) applications of this style, for us, is to create little wedding keepsakes. 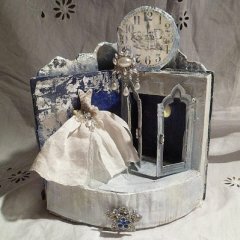 Forget the normal cheesy mementos, we want to concieve and make cool little unique assemblage vignettes that will be a part of peoples' lives for the rest of their lives. In this respect we love the art of Messie Jessie (aka Sue Griffiths - see her achingly cute 3D dress piece above) - who we see as a great influence for us. Although not strictly in our genre of 'ceramics', we are featuring her as an artist on this site and would love to colaborate with her in ceramics - this potential synthisis is on our wish list, so watch this space. Other artists are treating the medium in a perhaps more reflective or rapt way. 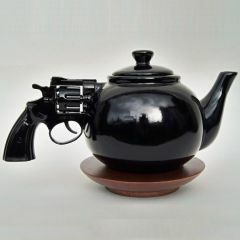 For example, Dennis Shields 'Let's Talk It Over' (see gun and teapot photo above). 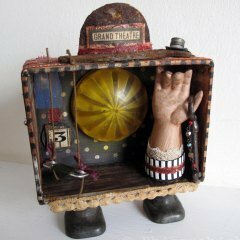 Also Sarah Beare is making beguiling assemblage art and creating order out of chaos with discarded ceramic bits and other rummagings (see the marionette inside the lantern pictured above). Glyn Walton dome landscapes are quite literally in a world of their own, and somehow absorbs the observer into their tiny immersed cosmos. By way of contrast, Georgina Ferrans assemblages are a superb, colourful extrovert enticement of memory mélanges. Finally, we have to show the art of American artist, poet and blogger Sandra Evertson. 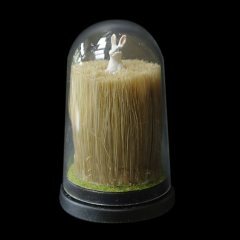 Yes, we know this is a site showing Brit art, but we love Evertson's work so much and it fits so well in with what we want to show here in the Assemblage art section, that we decided we can break our own self-imposed rules and call her a 'guest artist'. 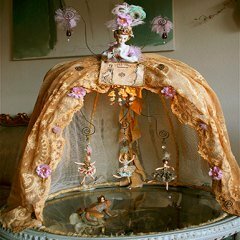 The theatrical Regency dolly revealing a skirtful of Frog Prince gestalt narrations (shown in the above photo) is an enchantment of delights we just coudn't resist showing you. Write about an artist, a project, an idea? Share it! TO get this into Google's search results, please write as much content as you can (say 200 - 300 words) - also add pictures if you can.